Home Sustainable Development Goals Climate Change to cause 250,000 additional deaths annually-Who is at risk? Climate Change to cause 250,000 additional deaths annually-Who is at risk? Climate change is real. Sea levels are rising, glaciers are melting and precipitation patterns are changing. Extreme weather events are becoming more intense and frequent. The overall health effects of a changing climate are likely to be overwhelmingly negative. Climate change affects social and environmental determinants of health – clean air, safe drinking water, sufficient food and secure shelter. Extreme high air temperatures contribute directly to deaths from cardiovascular and respiratory disease, particularly among elderly people. In the heat wave of summer 2003 in Europe for example, more than 70 000 excess deaths were recorded. High temperatures also raise the levels of ozone and other pollutants in the air that exacerbate cardiovascular and respiratory disease. Pollen and other aeroallergen levels are also higher in extreme heat. These can trigger asthma, which affects around 300 million people. Ongoing temperature increases are expected to increase this burden. Globally, the number of reported weather-related natural disasters has more than tripled since the 1960s. Every year, these disasters result in over 60 000 deaths, mainly in developing countries. Rising sea levels and increasingly extreme weather events will destroy homes, medical facilities and other essential services. More than half of the world’s population lives within 60 km of the sea. People may be forced to move, which in turn heightens the risk of a range of health effects, from mental disorders to communicable diseases. Increasingly variable rainfall patterns are likely to affect the supply of fresh water. A lack of safe water can compromise hygiene and increase the risk of diarrhoeal disease, which kills over 500 000 children aged under 5 years, every year. 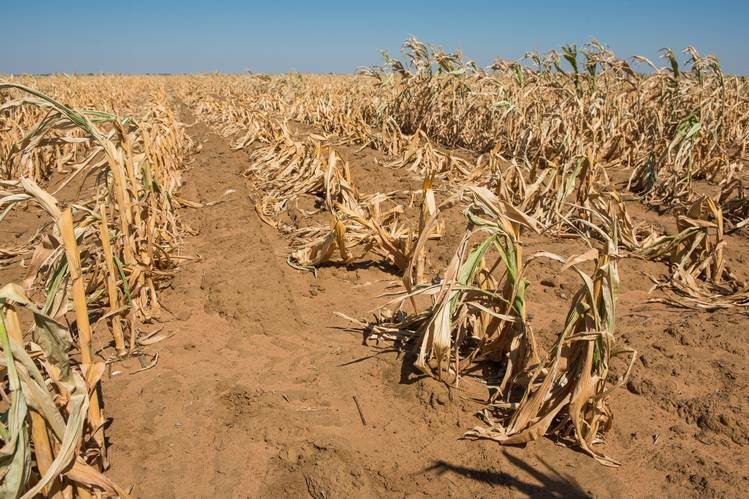 In extreme cases, water scarcity leads to drought and famine. By the late 21st century, climate change is likely to increase the frequency and intensity of drought at regional and global scale. Floods are also increasing in frequency and intensity, and the frequency and intensity of extreme precipitation is expected to continue to increase throughout the current century. Floods contaminate freshwater supplies, heighten the risk of water-borne diseases, and create breeding grounds for disease-carrying insects such as mosquitoes. Climatic conditions strongly affect water-borne diseases and diseases transmitted through insects, snails or other cold blooded animals. Changes in climate are likely to lengthen the transmission seasons of important vector-borne diseases and to alter their geographic range. For example, climate change is projected to widen significantly the area of China where the snail-borne disease schistosomiasis occurs. Malaria is strongly influenced by climate. Transmitted by Anopheles mosquitoes, malaria kills over 400 000 people every year – mainly African children under 5 years old. The Aedes mosquito vector of dengue is also highly sensitive to climate conditions, and studies suggest that climate change is likely to continue to increase exposure to dengue. A WHO assessment, taking into account only a subset of the possible health impacts, and assuming continued economic growth and health progress, concluded that climate change is expected to cause approximately 250 000 additional deaths per year between 2030 and 2050; 38 000 due to heat exposure in elderly people, 48 000 due to diarrhoea, 60 000 due to malaria, and 95 000 due to childhood undernutrition. All populations will be affected by climate change, but some are more vulnerable. People living in small island developing states and other coastal regions, megacities, and mountainous and polar regions are particularly vulnerable. Children living in poor countries – are among the most vulnerable to the resulting health risks and will be exposed longer to the health consequences. The health effects are also expected to be more severe for elderly people and people with infirmities or pre-existing medical conditions. Areas with weak health infrastructure – mostly in developing countries – will be the least able to cope without assistance to prepare and respond.